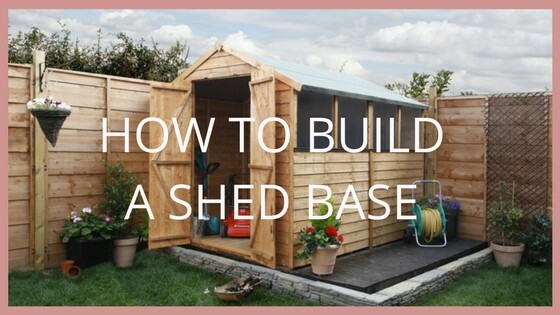 A shed base is an essential part of building a shed. 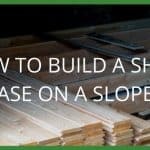 It needs to be properly made in order to give your shed a solid foundation. 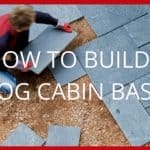 On the face of things, building a shed base might seem like a daunting task, but follow these simple steps and you’ll have a level and sturdy base for your new shed in no time at all. Make sure there’s access for delivery and access to all sides for maintenance and applying wood treatments etc. Consider surrounding area conditions, such as foliage and young trees that may grow in the future. A well-lit area is best if the building is to be used as a workshop. The view of your garden from the planned area for summerhouses. Consider whether you intend to run an electrical supply to the building. 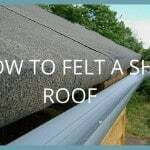 Note: Whichever method is more suitable for you, we recommend that you have a 2” (5 cm) lip around the base of your shed. 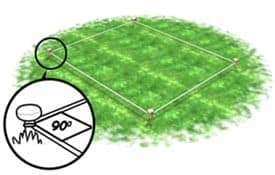 To calculate the size of base required for the particular building you wish to build, add 4” to the overall base dimensions, to ensure an adequate base size for your shed. Many garden sheds come with the option to purchase an Eze base. This is the easiest and quickest option, but make sure the ground you are laying your base on is flat and level. 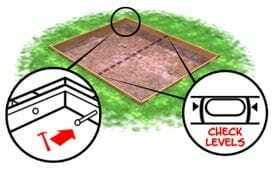 It is recommended to lay your Eze base on top of a concrete or paved surface. Watch the video guide below. 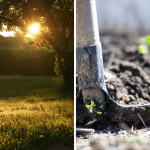 Decide where to position your garden shed. Allow enough distance from hedges or fences for easy access to all sides. Using the pegs and string, mark out the base 2” (5 cm) larger than the area of the building on each side. Finally, measure diagonally across both sides to ensure the area is square. Mix concrete using one part cement to five parts all-in-one ballast, or use bags of dry-mixed concrete and just add water. Decide where you will be placing your garden shed, leaving enough space from hedges, fences and border for easy access to all sides. Using pegs and string, mark out the base 2 inch (5 cm) larger than the area of the building on each side. 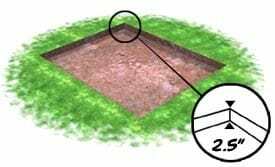 Finally, test the size by measuring the two diagonals to ensure the area is square. Mix together one part cement to eight parts building sand for a dry sand and cement mix. Spread this evenly, ensuring that the mix sits approx. 4 cm in depth. Be sure it is level. Will I need help to build my base? 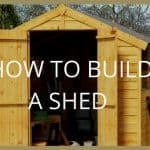 Constructing the foundation for your garden shed is a fairly hassle-free task for a single person to complete. When it comes to actually assembling the shed, we do recommend an extra person is on hand for lifting and placing roof and wall panels in place.